SAPPORO - Recovery and reconstruction efforts following major natural disasters take years and large sums of money to complete, and the magnitude 6.7 quake that rocked Hokkaido earlier this month is unlikely to be an exception. 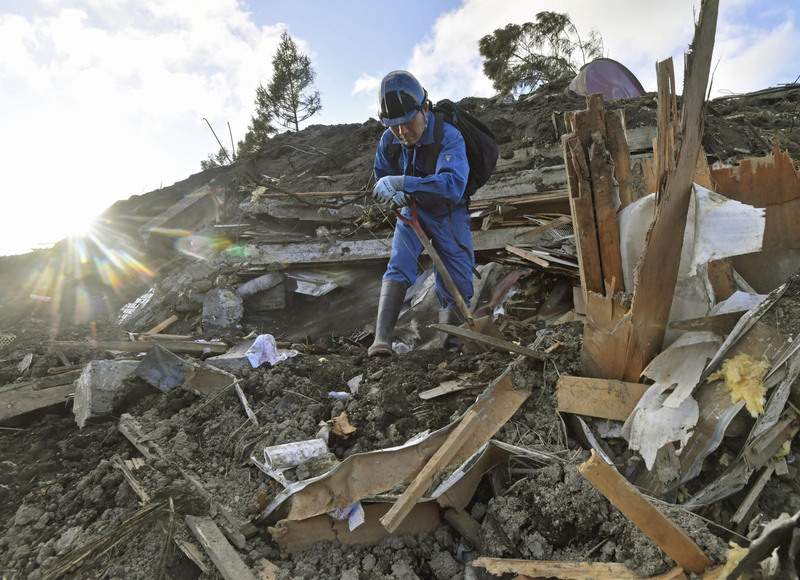 Shoichiro Miyasaka, mayor of Atsuma, where massive landslides engulfed homes following the Sept. 6 quake, said repairs to roads and farmland will require “at least” tens of billions of yen. 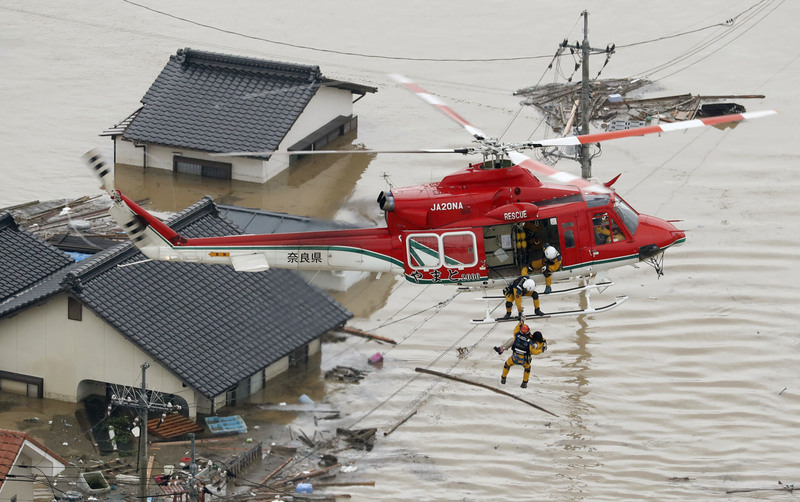 Thirty-six of the 41 deaths reported in the prefecture occurred in Atsuma, and 445 of some 4,600 residents of the farming town were still evacuated from their homes as of Friday. 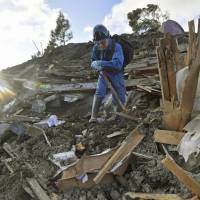 At least 73 structures were flattened and 147 others suffered damage, mostly due to landslides triggered by the quake, according to local officials. “The people who died had worked to build this community. 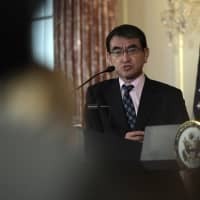 Ensuring a full and successful recovery will be a way to honor them,” Miyasaka said, adding that the town “must ask for wide-ranging support” from others. The Hokkaido quake is just the latest in a series of natural disasters to have beset Japan this year. 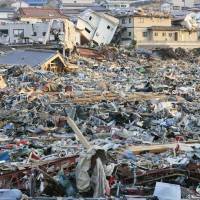 In June, an earthquake killed five people in Osaka Prefecture. 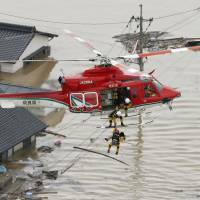 The disaster was followed by torrential rains that left more than 200 people dead in western Japan in July, and powerful Typhoon Jebi, which made landfall on Sept. 4 and left a trail of destruction in the Kansai region, including at Kansai International Airport. Such disasters, and the huge accompanying costs, are nothing new in Japan. The central government and a disaster relief fund established by the 47 prefectures have been jointly supplying money for new construction to people whose homes have been destroyed. But there are fears that funds will dry up if large-scale catastrophes continue to occur — a likely result of climate change, scientists say. Disaster fund reserves are supposed to be maintained and grown through investments, but in recent years money has been drawn from the principal, meaning the ¥100 billion it had as of March 2012 was reduced to a low of ¥48.2 billion by March 2018. 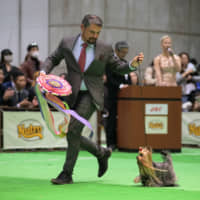 While governors in July agreed to contribute an additional ¥40 billion to the fund, the torrential rains and ensuing disasters are expected to hurt its balance further. 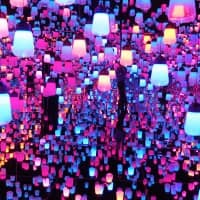 The insurance industry seems to have reacted to the risks of weather-related natural disasters, particularly with climate change likely worsening the scale and frequency of typhoons and other events. With policyholders more likely to make disaster-related claims and companies in which the insurance firms invest their massive assets likely to have profits hit by weather disruptions, the industry has begun to take action. A global assessment of the sector released by the Asset Owners Disclosure Project Global Climate Index in May said Japanese insurers had shown recent advances in their transparency on climate-related risks, an improvement likely spurred by the integration of environmental, social and governance factors into the investment process of the Government Pension Investment Fund. However, debt also remains from past emergencies, including the Great East Japan Earthquake in 2011 and the Great Hanshin Earthquake of 1995. 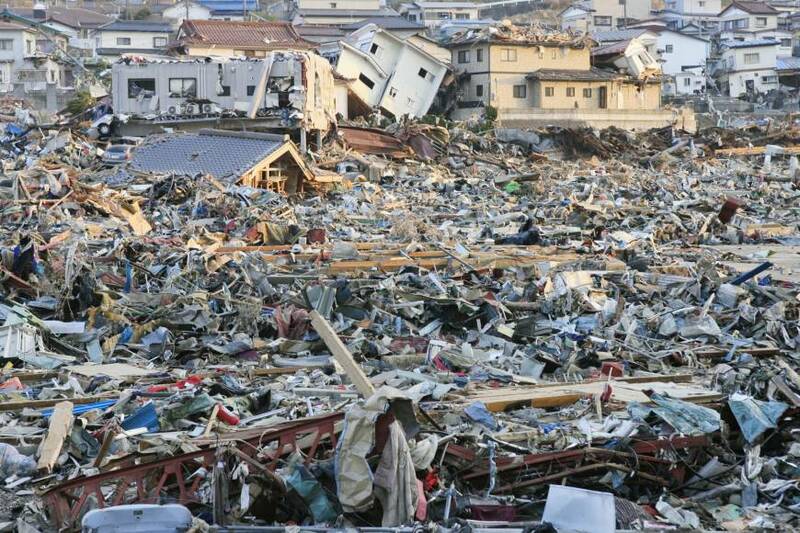 The 2011 disaster in Tohoku has been particularly devastating due to the wide areas it affected and the nuclear crisis it triggered in Fukushima. Seven and a half years since the quake hit roughly half of the households that borrowed money from the government through local authorities have failed to meet their scheduled repayments on a combined ¥400 million in debt, a recent Kyodo News survey revealed. The government disbursed up to ¥3.5 million to about 26,400 households for a combined ¥46 billion and asked them to repay the loans within 13 years. Repayments have been called in from about 30 percent of those with loans, or 7,500 households, but 3,460 households have been unable to pay them back, the survey showed. Municipalities that participated in the survey said, among other factors, that borrowers have struggled to repay their debt because their income fell after they were forced to switch jobs due to the disaster. Other people have reached retirement age and are relying on their pensions, and are unable to put aside money to make loan payments. 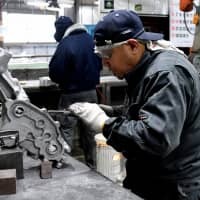 “My back aches and it’s hard to work, but I won’t be able to repay unless I work,” said a 70-year-old man in Sendai, whose repayments are scheduled to start in December. The man works at a university dorm as a cook and earns about ¥880 an hour or roughly ¥80,000 a month. 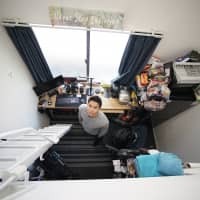 Combined with his pension, he makes about ¥160,000 a month, leaving him with little in the way of funds after he pays for his basic living needs. 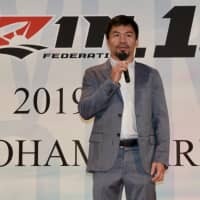 The man has made a request to authorities to allow him to extend his payments because he doesn’t believe he will be able to pay back the ¥110,000 bill that’s due later this year. He can only remain employed at his current job until age 75. The city of Kobe is still faced with debt because people have failed to pay back loans 23 years after the Hanshin quake devastated the city. As of August 2017, some 1,960 households owed roughly ¥3 billion, according to the city. The figures underscore the difficulties people face in repaying their debts as well as problems faced by municipalities attempting to collect. “Managing debts for an extensive period of time increases our workload,” said an official of Iwaki, Fukushima Prefecture. Officials of the town of Yamamoto, Miyagi Prefecture, also said local government workers lack the skills and experience to collect debts. 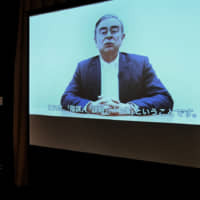 However, Haruo Hayashi, the head of the National Research Institute for Earth Science and Disaster Resilience, urged local authorities not to make debt collection their sole purpose. “They need to grasp the circumstances of each individual and support them to rebuild their lives,” Hayashi said.